I just kicked off a new blog series over at Moonlight and Mystery, and I thought I'd share it here as well. Moonlight and Mystery is a new site for romance, suspense, and mystery, and 11 authors contribute to the content. I'm one of the authors in charge of the blog topics and schedule, and I often start the series with the first post. We've done a series on book settings and another on the book from our childhood that impacted our writing; this new series is on each author’s favorite hero or heroine, and this is the first time we’ve had to pick favorites! I’m not going to lie, as an avid reader, it’s tough. I did a post on my own blog years ago on my favorite fictional couples (note: I had not read the book I'm going to talk about at the time of that old post from Feb. of 2013, otherwise this couple would have made it...but I read it later that same year, and it's featured on my Favorite Books of 2013 post which came out in Dec.) and I forced myself to narrow it down to five. But one hero OR heroine? Nearly impossible. Okay, so that’s a lot about why I loved the book. What is it about the characters that made them favorites? I did love the hero Alexander, don’t get me wrong. Some readers were uncomfortable with some of his behavior early on in the book, when he’s trapped in a love triangle of sorts. While it wasn’t the most admiral spot for him to be in, I tried to view it through a more favorable lens. 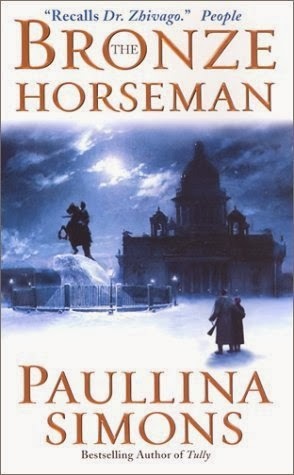 Tatiana was too young for him at the time, even though he loved her. He also was trying to do as Tatiana directed, because she wanted Alexander’s current girlfriend to be happy. 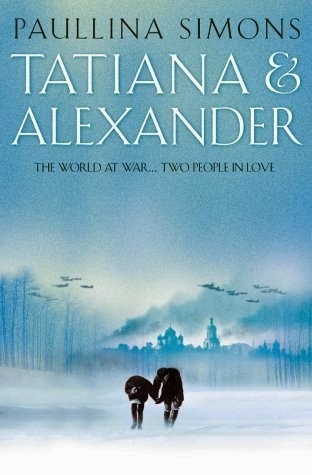 Finally, he used the relationship to have frequent contact with Tatiana’s family as the war progressed and supplies grew tight, and it allowed him to bring them all food. When it becomes clear her brother may have been in a battle, she goes looking for him. When the hospital fill with wounded and dying, she’s there, volunteering as a nurse. And lest it sound like she’s too nice, too sweet, we eventually see what she’ll do to save Alexander from behind enemy lines. Nothing stops her, and the determination and cunning she shows to rescue her love make for an edge-of-your-seat plotline. Beyond that, I don’t want to say too much, because, spoilers! And if I’m making it seem like too depressing a read, remember that is *is* a romance, which means a Happily Ever After (eventually)…and there are some wonderful times of joy in simply being alive (and steamy encounters) when Alexander is given leave. I’d add that the first two books, The Bronze Horseman and Tatiana and Alexander, are worth the read if you like epic Historical Romance. The last in the series was extremely disappointing to many fans and didn’t seem to fit, as if it had to be tacked on as the third book in the series per a contract. Although there is an exciting scene at the end, if you’re determined to see the series through! Have you read these books? What were your takes on the characters? Please share your favorite heroes and heroines!